The allure of black: it encompasses everything and nothing at the same time. According to 2018 interior design trends in WGSN, Vogue, Trendir, Elle, and Pantone, black is the statement colour for this coming year. 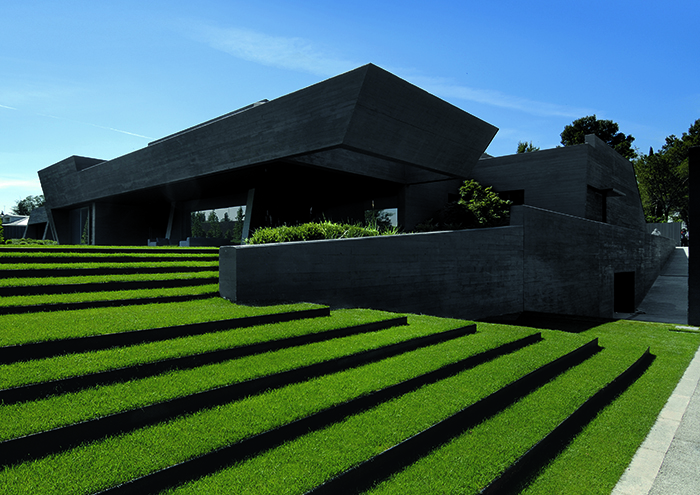 As black serves as a way to express our inner selves in an outward projection, we look into the most divine interiors and exteriors in this ubiquitous colour. From the inside to outside of the home, we reveal our favourite black interior pieces and architectural residences. Photo credit: P.D. Rearick, Courtesy Wasserman Projects in Detroit. 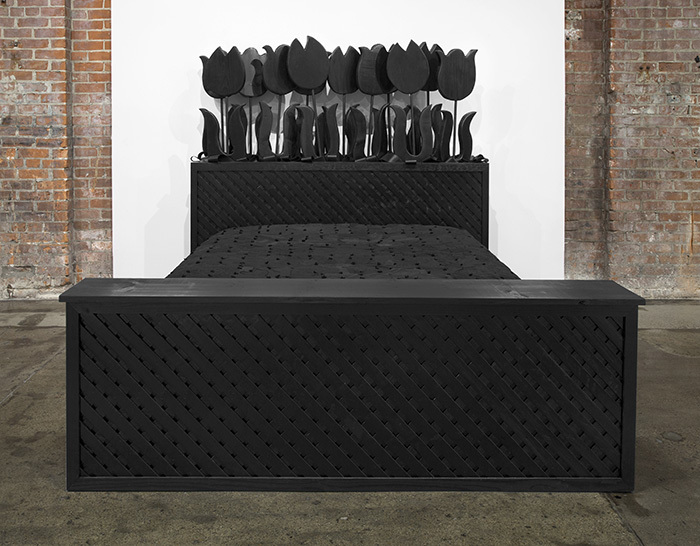 Awaken to a new day in this whimsical bed handmade by Los Angeles artist Jason Yates for his exhibition ‘Homemade Ice Cream’ Wasserman Projects in Detroit The playful tulips emanate an urban refinement in black and create a daring yet subtle focal point. Be inspired to dress in the most artful way before you even open your wardrobe. 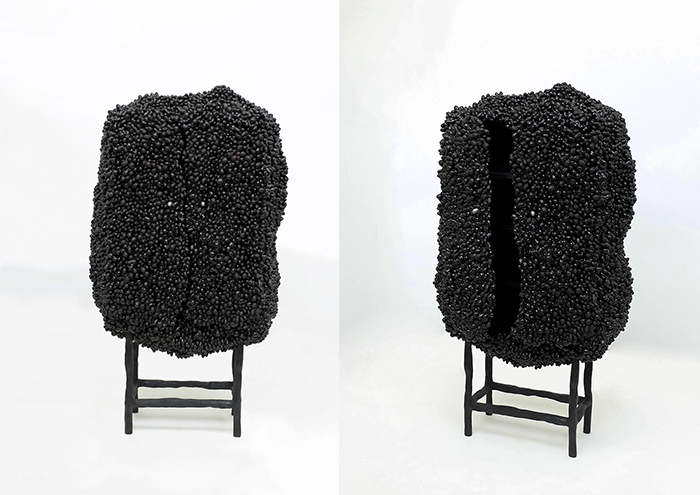 The Marlene Huissoud cocoon cabinet would be the perfect curio for your most beloved dark fashion pieces. 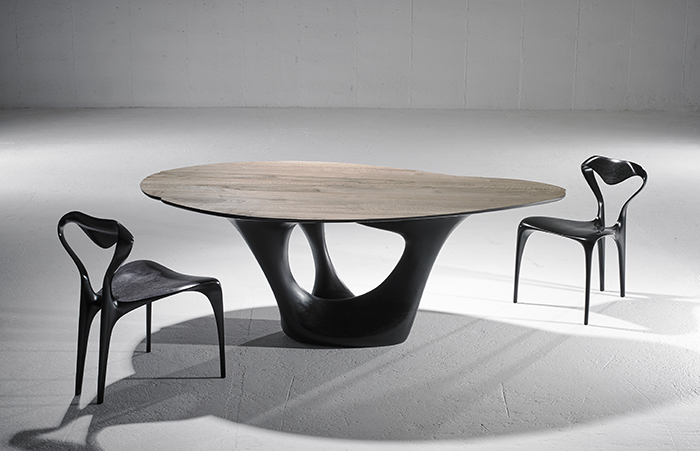 Made from silkworm cocoons thinly lacquered with honeybee bio-resin, Huissoud redefines how natural materials are used. The textural beauty and silhouette create any room into your own museum. Illuminate a dark room from somber space to dramatic romanticism with these Lee Broom Fulcrum candles. 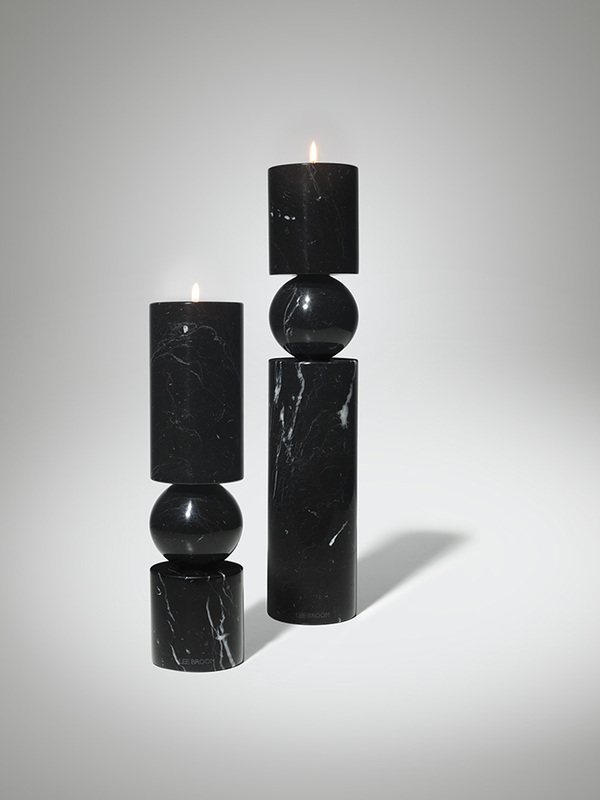 The black marble and modern sculptural appeal create a bold silhouette that would add dimension to a darkly monochrome interior. Imagine sauntering through your corridor and passing by the Studio E.O Indefinite Vase designed by Erik Olovsson. 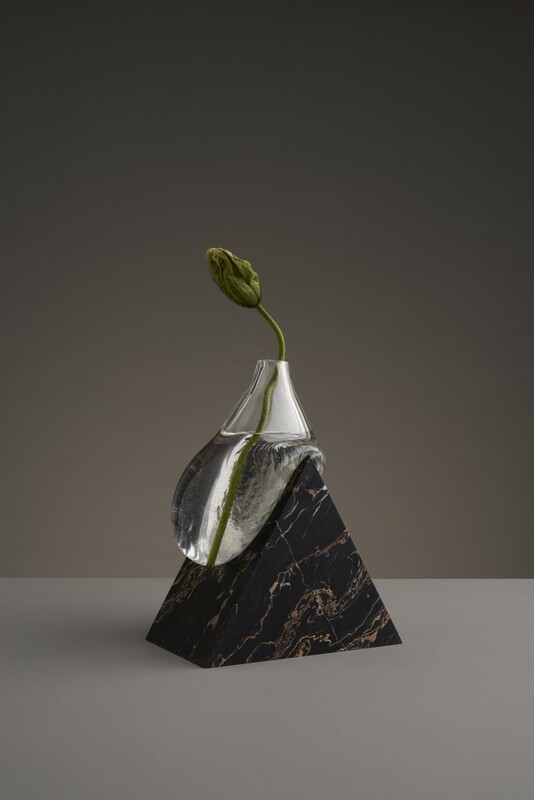 An elegantly drooping glass-blown vase precariously perched on a geometrically sliced stone showcases the beautiful juxtaposition of hard and soft. A conversation piece, the subtle copper veins disperse throughout the dark marble stone creating textural interest that dramatises any surface. Black interiors can emit a heaviness in a space, so bring lightness with these Giopato & Coombes Bolle light fixtures. 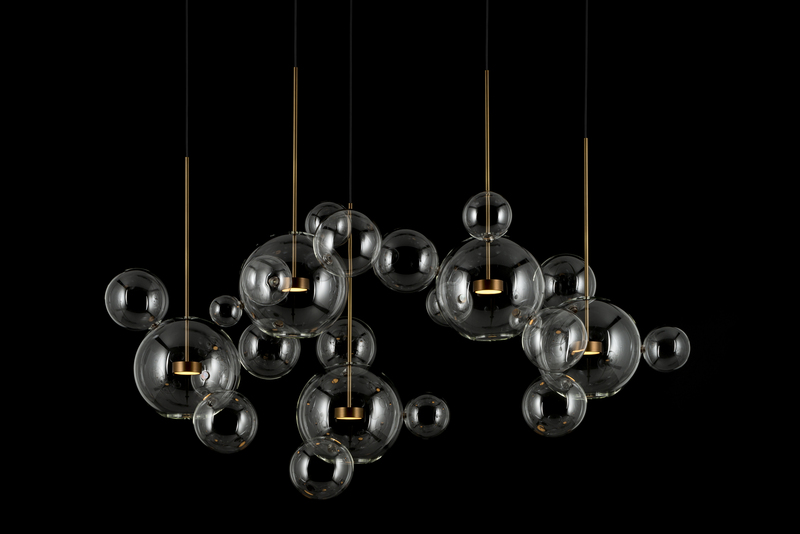 The playful transparent bubble-like spheres allow focus on the beautiful form and intimate ambiance of your home. Underneath the gleaming lights, gather your closest friends and family for an impromptu dinner party. Saturated colors of homemade dishes contrast with the black curved structure and chestnut surface of the Dommus Erosion table and Engima chairs by Joseph Walsh. 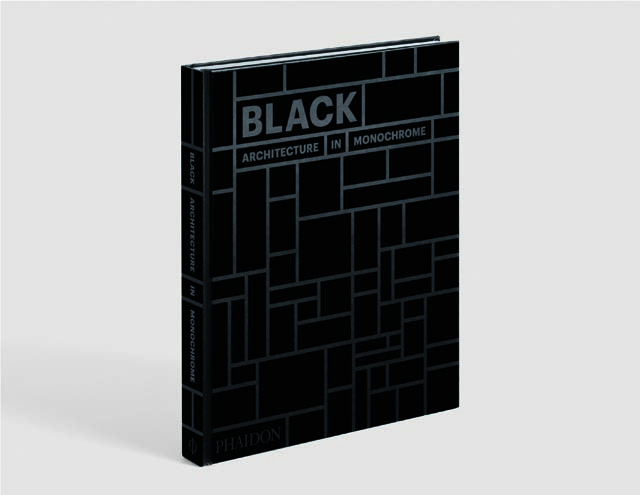 Lastly, here are a few of our favourite architectural homes from BLACK: Architecture in Monochrome. 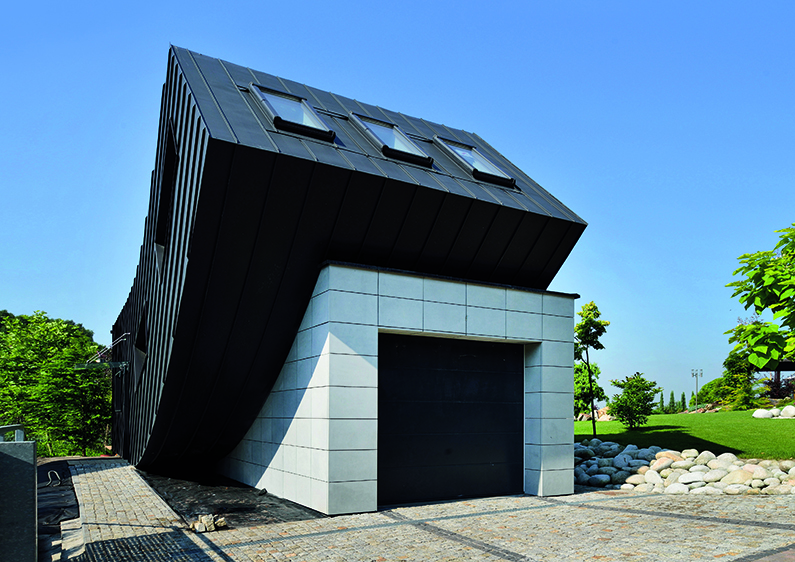 The books showcase homes, buildings, churches, and various structures with bold shapes emphasised by its black palette. Through a monochrome colour scheme, the residences’ personalities and characters shine through. 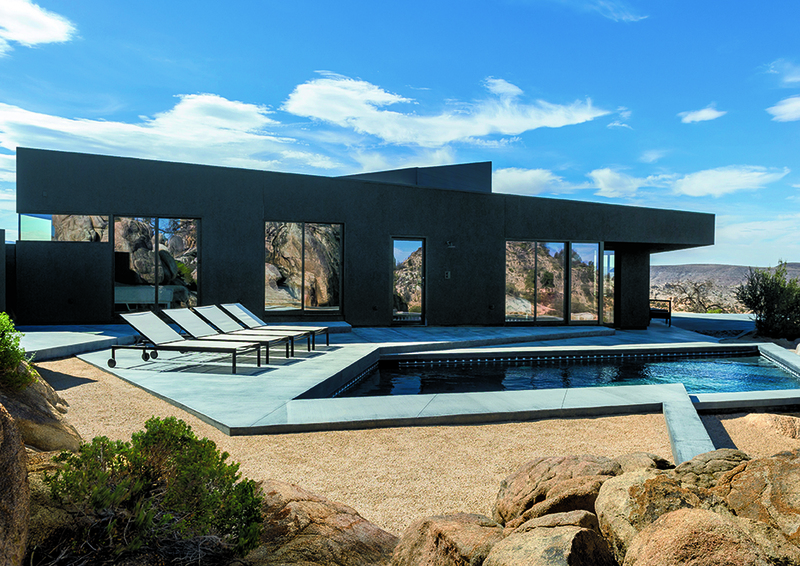 Enveloped in black’s chameleon-like qualities, these homes encompass contradicting expressions: it’s bold yet unassuming, practical yet conceptual, and expresses seclusion and exhibitionism. 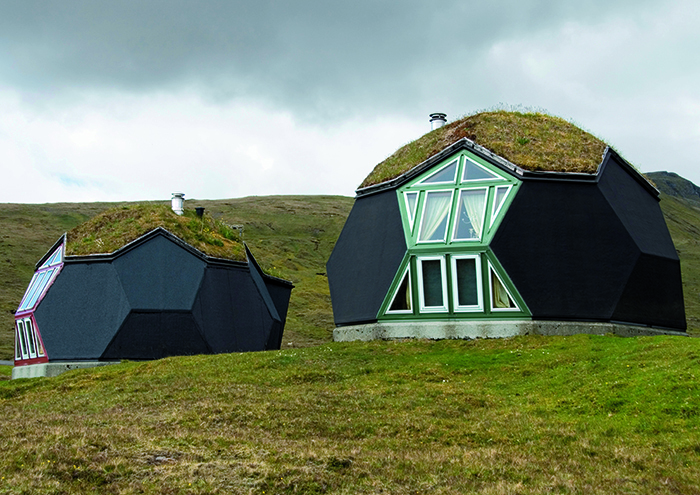 The shape-shifting qualities of these homes definitely make them stand out from the rest of the neighbourhood.